Small business owners are always looking for great personalized business gifts to give to employees and clients, and golf items might be among the best possible presents. As the weather becomes warmer, consumers will be looking to dust off their clubs, find a course and play a few rounds. Golfing is an enjoyable activity for players of all skill levels so people who are teeing up the first shots of their lives can have as much fun as veterans who hit the links every weekend. Of course, clients and employees will enjoy their golf outings more than usual if they have the proper equipment. During promotional giveaways, small business owners should hand out gifts that are great for playing courses that feature 18 challenging holes. Entrepreneurs can start by ensuring that gift recipients are prepared for sudden changes in the weather. During a rousing round of golf, the weather can quickly shift from warm and sunny to cool and rainy. Branded water bottles are ideal for the former conditions while sponsored umbrellas are perfect for staying dry during a storm. Alternatively, a cooler bag can be a great gift so golfers can keep their bottled beverages cool while they play. Additionally, small business owners can hold contests and use a set of golf balls as the grand prize. 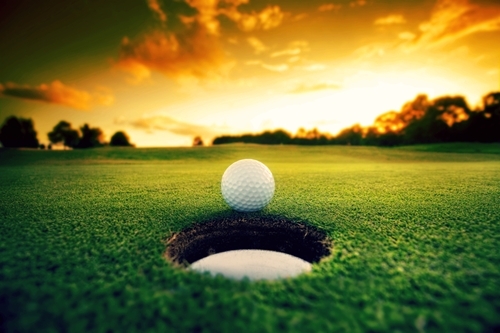 Clients and employees would love to win so they’re always prepared to play a round. Ball markers and divot-repair tool kits can be given to runners-up so everyone can take home great rewards. A common stereotype is that professionals conduct business on the golf course. According to The Grindstone, this practice is common, and some business teachers recommended that students should take golf lessons. Brad Brewer, a PGA Professional and author of “Mentored by the King: Arnold Palmer’s Success Lessons for Golf, Business and Life,” believes that playing golf allows employees and clients to develop deep bonds. “[In] the end, I think the beauty of being able to create a relationship with somebody and bond with them for four or five hours is very valuable – I don’t know that there’s another place that you have the capability of doing that,” Brewer told Inc. Magazine. Small business owners can deepen these relationships by distributing golf gifts before hitting the links with clients or employees. Ultimately, playing 18 holes can help an entrepreneur enjoy new levels of success.